Mini beauty and personal care products are becoming increasingly popular among Millennials. Driven by the opportunity to try new products at a lower cost, as well as travel-friendly convenience for on-the-go lifestyles fits consumers seeking new solutions with product trials. The inspiration comes from architecture’s own mini trend. Crowded cities and a lack of space are driving architects to create functional-yet-comfortable tiny spaces. Many examples of mini houses are displayed on Pinterest as cutting-edge, eco-friendly abodes that demonstrate how attractive smaller dwellings can be. The ultimate goal for the mini category is to give customers exactly what they want, but in a smaller format that’s customized to their personal needs. Establishing a good user experience that’s similar to that of full-sized products will create big ideas for the appeal of minis in the future. So, what’s next for fun-sized packaging? Distinguishing mini-sized products from free samples offered by luxury brands is integral. 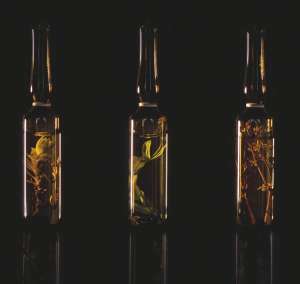 Providing something unique, such as a variety of choices or anything exclusive is important as mini products can often be a similar size to samples (2-10ml). Gallivant offers two sample sets of perfume with an ‘urban exploration’ concept. 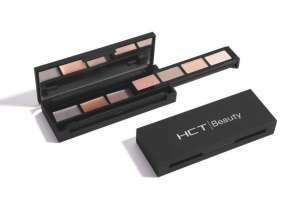 The ‘Ice Sliding Mini 7 Well Kit’ by HCT is a clever packaging solution for a travel-sized makeup palette. It showcases four colors in a tray that slides sideways to reveal three more colors underneath. Packaged in a 4ml glass ampoule with a plant inside, Studio Riebenbauer has a contemporary look and is designed to make an impact. The box is elegant and minimalist and the bottle is set among foam, accompanied by a plant sample. Creating a unique experience with a stylish design shows off a fun side to mini sizes. WWP offers a pocket-sized kit that consists of four compact, long-wear lipsticks or eyeliners that slide open like a rollerball pen. AptarGroup presents Twinset, an airless packaging system that allows consumers to combine products in a single unit. The system proposes multiple combinations and is easy to transport. Interactions will improve the user experience. Beauty and technology make a good team, and digital samples have become increasingly popular for BPC products. 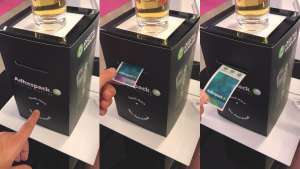 Adhespack has unveiled an automated system that releases a makeup sample of scented label at the press of a button. It can be customized with many color and shape options and offers an interactive, personalized approach to product promotion. There are opportunities for packaging suppliers to provide unique brush/applicator and wiper systems for mini-sized products that are as well-designed as their full-size counterparts. 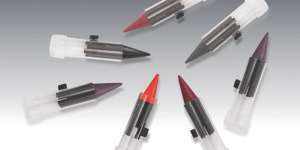 Cosmogen created a multitude of innovative applicators for small-size products. Mini products find their inspiration from sampling manufacturers. This area is currently evolving towards more elaborate formats such as multi-use samples and traditional-size products being offered in a mini version. Paper company Gruppo Cordenons introduced a flat case featuring a transparent window and a ‘Lift and Reseal’ label that allows the product to be refilled and used multiple times. Packaging suppliers will continue to develop new solutions for smaller-sized products, driven by the increased demand for them. As the ‘mini’ category continues to grow, there are plenty of packaging opportunities to improve applicators, as well as ways to differentiate with new designs that provide more convenience and ease of use.